Illinois is on the brink of a solar boom—and we want to keep you informed of all the latest updates. Community Solar will make the economic and environmental benefits of solar energy available to people who rent, live in multi-unit buildings, or for other reasons cannot install their own rooftop solar panels. Consumers can subscribe to a Community Solar Project located anywhere within their utility area. Subscribers will receive credits on their monthly electric bills, and will pay a separate bill to the developer of the Community Solar project. The specifics of billing depend on the contract terms from the specific Community Solar developer. Currently, there are many more Community Solar Projects proposed than will be able to receive funding in the first round of the program. Specifically, in ComEd territory solar developers have proposed around 640 community solar projects, but the first round of the program will only fund approximately 62 community solar projects statewide. Because there are more proposed projects than funding available, the Illinois Power Agency will be holding a lottery to determine which projects receive financial incentives in the form of Solar Renewable Energy Credits (SRECs). The lottery opens up for applications from solar developers on January 30th, and closes on February 13th, 2019. These 62 projects will equate to 117 MegaWatts of solar installed, equivalent to the generation capacity of around 59 wind turbines! Some, but not all, of these projects will start construction in 2019. While the launch of the Community Solar program is an important step in transitioning Illinois to more renewable energy, it may take multiple years before all interested consumers are able to purchase community solar subscriptions, especially as word about the program spreads. The most direct and immediate way to support the transition to renewable energy is still to install rooftop solar. Check out CUB’s guide to rooftop solar here, and feel free to reach out to CUB’s Environmental Outreach Coordinator, Christina Uzzo, with any questions about rooftop solar. Once developers begin working on specific community solar projects, they will conduct marketing and outreach to gain subscribers. Many people will find out about Community Solar options available to them from private companies rather than from a public agency. The Illinois Power Agency is working to ensure that all potential consumers receive the same baseline of information about how the program works. To that end they have created a brochure that Community Solar developers must give to any potential customer. That brochure is finalized and can be viewed here. Community Solar is funded through the Adjustable Block Program. For more information on the status of Community Solar please see the Adjustable Block Program website: www.IllinoisABP.com. Note: currently most of this information is geared towards solar developers, rather than residential customers. But as we get closer to the subscriber stage, there will be more information for residential customers. Solar for All is another program created and funded by the Future Energy Jobs Act. The goal of Solar for All is to ensure that the benefits of solar energy reach people in low income areas and areas disproportionately impacted by environmental pollution and contaminants (referred to as Environmental Justice communities). Residential Rooftop Solar Installations – Qualifying low-income households are eligible to receive rooftop solar systems at no upfront cost. In order for the solar installer to receive the Solar for All incentives, the installer must ensure that the customer will save at least 50% on their monthly electric bill. Non-Profit and Public Facility Solar Installations – Funding is available for qualifying non-profits and public facilities that serve low income or environmental justice areas. Same as above, the non-profit will have no upfront cost, and will see 50% savings on their electric bill. Community Solar Installations – There is funding carved out in Solar for All for Community Solar Projects within low income and environmental justice areas. Low-income subscribers are guaranteed to see 50% savings on their electric bills. 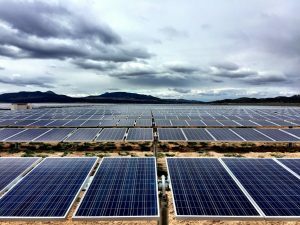 Solar for All is set to launch in April of 2019. At that point, we will have more information regarding how homeowners and non-profits can apply to the program. In the meantime, check out www.IllinoisSFA.com for more information. The incentives available for individual rooftop solar installers are also funded by the Adjustable Block Program – the same program that funds Community Solar. Solar systems installed any time after June 1st, 2017 are eligible to receive credits from the state. If you already have a solar system, and are interested in receiving these credits, contact your solar installer. Applications are submitted by solar installers, not by individual homeowners. The application to receive credits for existing residential rooftop solar projects also opens on January 30th. This application will remain open on a rolling basis to accommodate more residential solar installations across Illinois. However, once the limit is reached for each pool of incentives (each pool is referred to as a “block”), the block will close. At that point, the next block will open up, but with a slightly lower incentive level than the block before it.